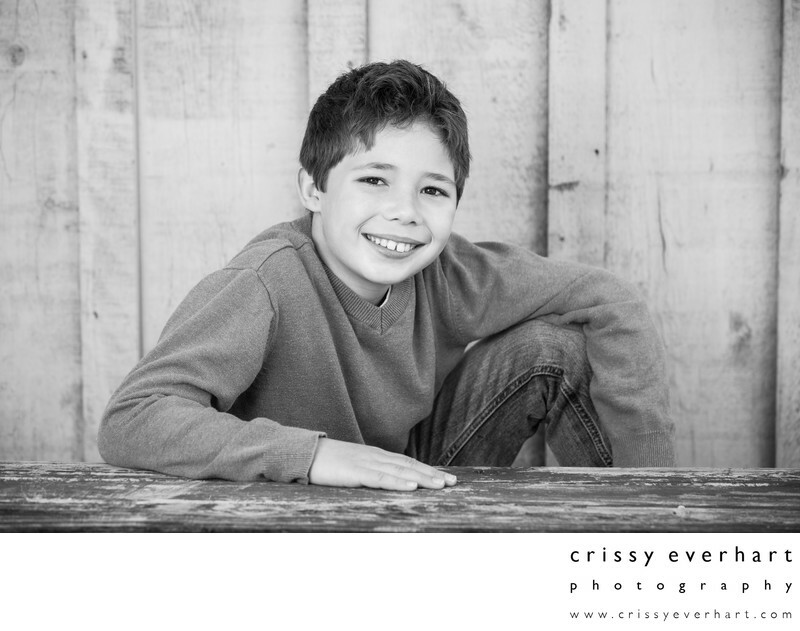 Rustic school portraits of a 10 year old boy. He is in front of a whitewashed wood barn, and leans on a red wood picnic bench with one arm, his other arm on his bent knee. This was taken at my studio in Malvern, on Historic Sugartown, a gorgeous property in Chester County.